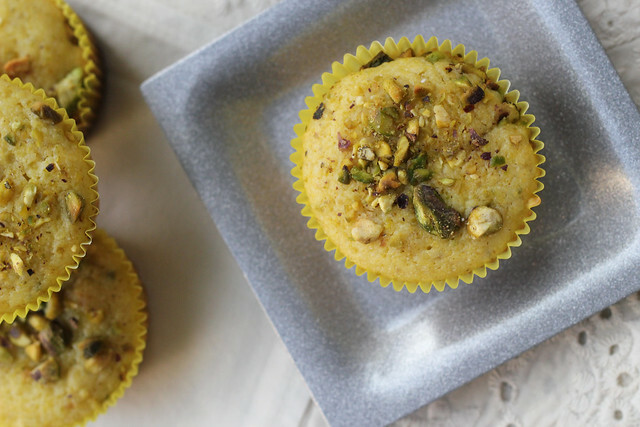 A lemony cornmeal muffin made a bit decadent by the nutty flavor of pistachio. Do you guys know what a Monet is? Okay, obviously the French impressionist painter but we’re going more of the urban dictionary route here. You know. The Clueless definition. To directly quote Cher, it’s something that “from far away [looks] okay, but up close it’s a big old mess”. That’s what I’ve always felt corn muffins taste like. Good in principle with their fine crumb that has just a hint of texture from the gritty cornmeal but kind of anti-climactic when you get all up close and personal with that first bite and realize that whatever you just ingested was so not worth the calories. Blech. They are long overdue for a makeover. So like Cher with Tai, I put them in a pretty new pistachio-infused dress, added a few drops of lemon, and all of a sudden they’re getting catcalled left and right. 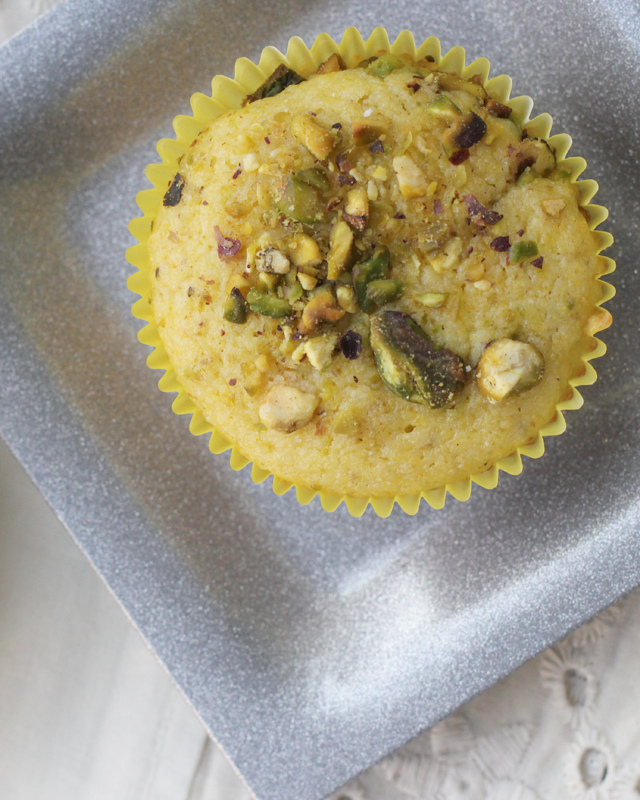 The true test, of course, is that first bite and let me tell you, something magical happens when you ground up pistachios to a fine powder and throw them into the corn muffin mix. All of a sudden what was once a plain Jane breakfast good is now a total Betty. Decadent, rich, and absolutely worthy of your morning indulgence. Dare I say, even the girls of Beverly Hills High School would approve. In the bowl of a food processor, pulse the pistachios until they are coarsely chopped. Set aside ¼ cup of the pistachios, but continue to process the rest of them until they are powdery. Heat the oven to 400. Line a standard muffin pan with cupcake liners. In a medium bowl, whisk the eggs. Add in the greek yogurt, lemon juice, lemon zest, and butter. Whisk until combined. Set aside. In a large bowl, whisk together the flour, cornmeal, sugar, salt, pulverized pistachios, salt and baking powder. Make a well in the middle of the dry ingredients and pour the wet ingredients into it. 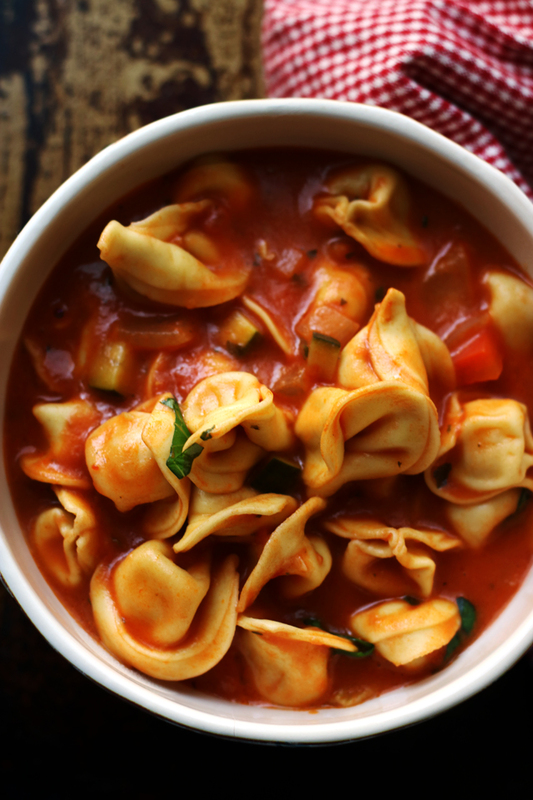 Fold the dry ingredients into the wet ingredients until just combined. Fill each muffin cup about ¾ full. Sprinkle the tops with the coarsely chopped pistachios. Tap the bottom of the pan against a flat surface (counter or table) to make sure the batter is level and there are no air pockets. Bake for 12-15 minutes or until a toothpick inserted comes out clean. Let cool for 10-15 minutes before removing from tin. 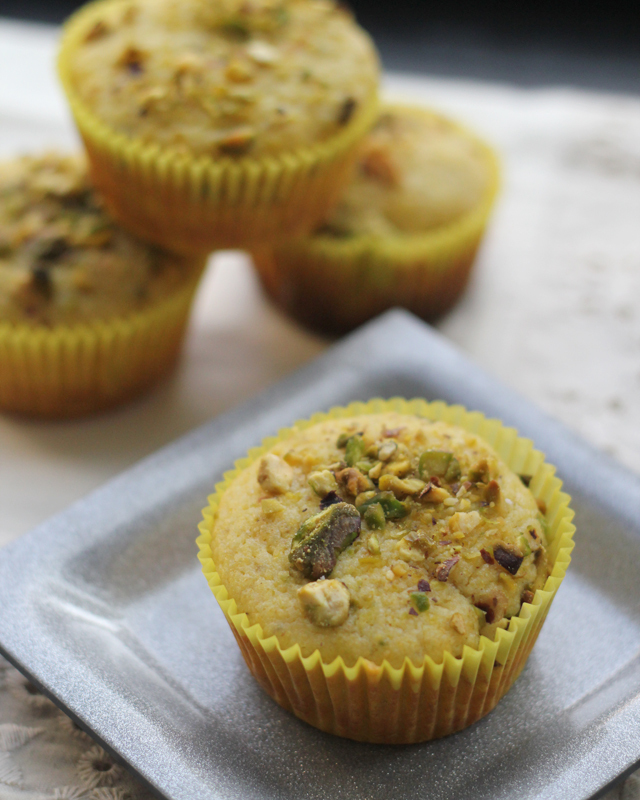 Cornmeal muffins make my mornings better, and with pistachios?! Well, that’s just AWESOME! Sounds great! I’ll try them! You had me at the Clueless reference. 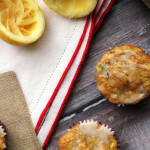 I actually kind of love corn muffins but I would love LOVE these with the pistachio punch! These really do sound amazing Joanne! 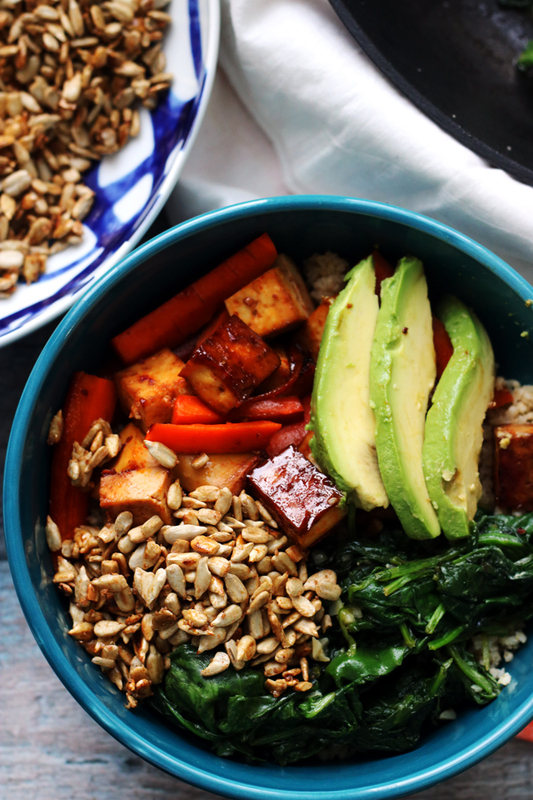 I love that the recipe is so healthy and I wonder how the addition of pistachios taste?! Beautiful photos as well! These muffins are calling my name! Lemon, cornmeal, and pistachio all sound so delightful together. Thanks for the recipe! I love that you just “Monet”-ed corn mufins. 🙂 Love it. The addition of pistachios sounds amaze!! Yum. I actually “made” cornbread last night (from the TJ’s mix). I’ve definitely had a corn muffin in my day that was dry and crumbly so I can see where you’re coming from. Love your fancy update though! Another meshing of flavors that I’d never think to put together. Really awesome job on these! I’ve been looking for a good corn muffin recipe for a LONG time – i totally agree they are totally lackluster, or worse, dry. Ick ALLL OVER. these look lovely though, and, honestly, doesnt a bi of lemon make everything a little better? 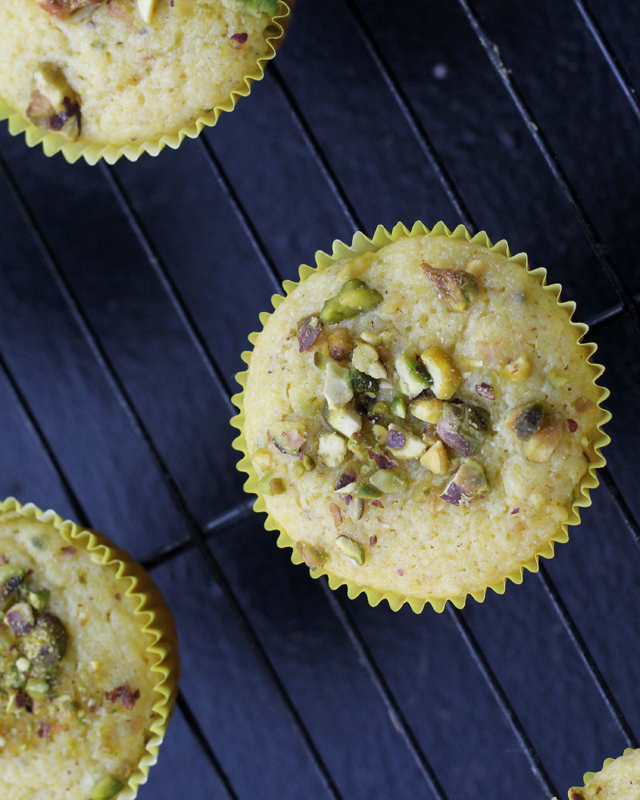 I like corn muffins as is, and i would like them even better with pistachios! Delicious ! I love pistachios!! That’s hilarious! I feel the same about plain cornbread 😉 this is such a great makeover! Pistachios do make everything more festive, don’t they. I actually like regular plain old corn muffins – something about the grainy texture appeals to me. Don’t ask. These cornmeal muffins are truly great for the breakfast with a pot of freshly brewed fruit tea! I like that term- a “Monet”! Lemon + pistachio are a perfect pair. Those sounds so fresh and light Joanne – I may make a (paleo) pancake version this weekend!! 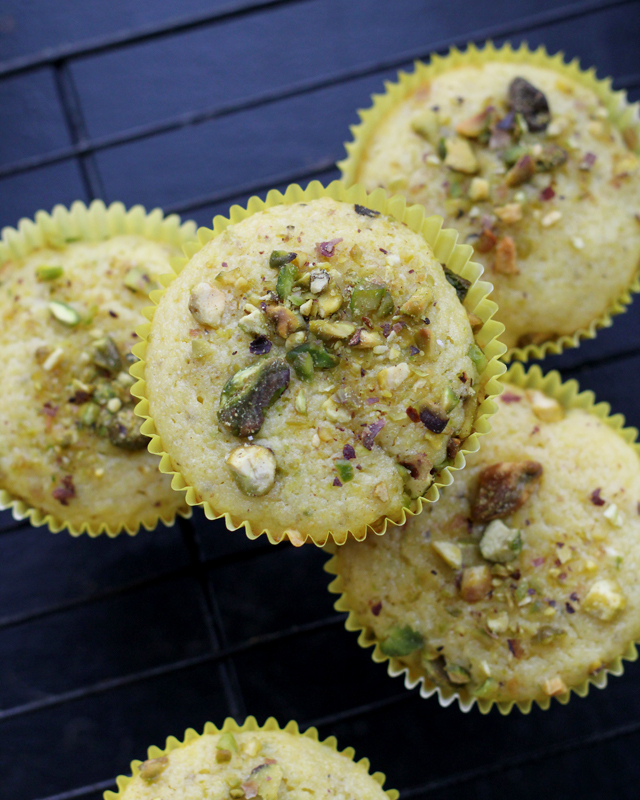 Cornmeal muffins with ground up pistachios are a great idea! These seem elevated above the ordinary by the inclusion of lemon – certainly moreso with pistachio! 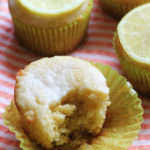 I love these light, lemony muffins! The saltiness of the pistachios must really bring out the sweetness, too! Yummy. I’d definitely take this dressed up version over the regular and pistachios just happen to be my favorite!! I just watched Clueless again recently and laughed so hard all over again. Now if I would have had THESE beauties to munch on while watching it, that would have been way cooler! I love how you Clueless’d corn muffins. Total genius. Love the Clueless reference. Lemon muffins with Greek yogurt are always winners in my book! I’ve had cornbread on the brain lately, so I’m all over your sweet and breakfast-appropriate version here! I wouldn’t have thought of adding pistachios into the equation, but now that I see it, it makes perfectly delicious sense. Since my mom loves cornbread and my dad loves pistachios, I think the whole family might even be able to enjoy this one. Oh my gosh, I love that movie and all your references to it (totally forgot about “total Betty!”) made me so nostalgic. I just sold my copy of the DVD at our garage sale but I suppose it’s probably available on Netflix if I get really sentimental about it. haha! You certainly dressed these muffins up proper girl! These are great looking muffins. What a great combo, pistachios and cornmeal, who would have thought!! OMG I love that you called corn muffins a “monet.” So true. And these look SO MUCH BETTER!!! Oh- these look delicious! I love the combo of pistachios and lemon! Looks like a delicious recipe. I’m on a pistachio binge lately! I actually don’t think I’ve ever had cornmeal muffins! I’m not sure if they’re just not very big in Australia or if I’ve been living under a rock…but I definitely want to try your version. 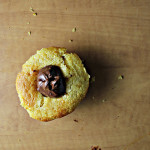 Love this updated version of a corn muffin. Will definitely try these out and exclaim “Ugh, as if!” while eating to channel my inner Cher. yes, ohyesyesysyes. I’ve been mildly obsessed with pistachios lately, dreaming up some sort of pistachio-cardamom ice cream blend. THIS recipe with lemon and cornmeal, I’m adding it to my list for sure!! Clueless! The best teen film of the 1990s! I feel so old-I saw it in the theater! As IF I could pass this one by! Coincidently, Clueless was on MTV this morning so obviously it was the background to my entire morning, and I’m loving how you Cher’d this one up. These look fantastic! These look amazing. 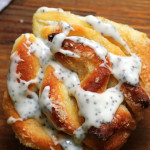 I am sitting here without breakfast in front of me and wish these would magically appear! Grinding some of the pistachios sounds like a great addition! I would happily eat one of these for breakfast! Plus, I just watched Clueless this morning 🙂 Never get tired of that movie. I have never tried anything cornmeal before. I couldn’t find it for the longest time in grocery stores. Now that I have, I would definitely want to try this! Oh my! How lovely! 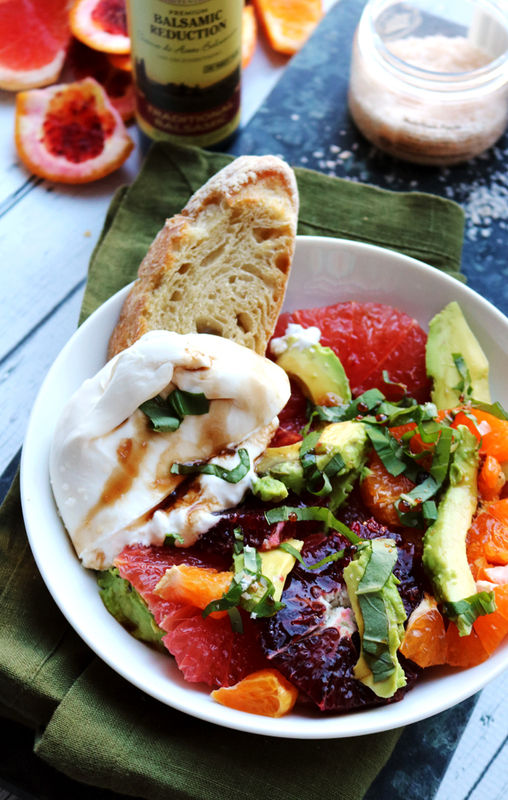 The combinations that come out of your recipes have just the right amount of familiar feeling, but are so new and innovative. You have such a fresh voice for food – love it! oh girl, you know how I am with anything involving lemons. and adding pistachios to the mix? making these asap! So funny and that movie is a modern-day classic. 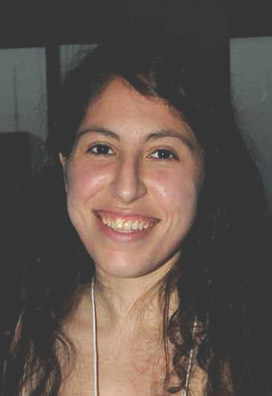 What a wonderful corn muffin make-over! 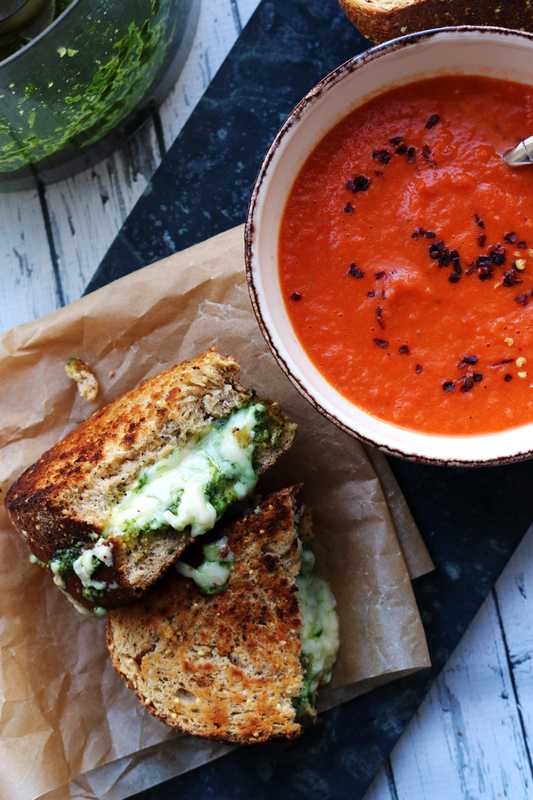 As I browsed through your past week’s worth of recipes my other favorite in the zucchini and basil recipe. I should be having baby zucchini growing soon and with fresh basil from my herb pots these will be served here soon. Oh wow these look pretty awesome! Lemon and pistachio go so well together! I’m probably in the minority, but I love a plain old corn muffin 🙂 We eat them a ton (probably too much) in the colder months! That said, your upgrade looks wonderful!! Haha, I actually really like corn muffins! But I do agree that there are lots of bad ones out there. I can only imagine that the pistachio addition would make them even better! ha ha ha ha! I just watched Clueless a couple of weeks ago (it was on tv)…so I knew immediately what you meant. I gotta say, these look amazing…and sound even better! I’ve seen that movie like a hundred times so I know exactly what your talking about! Such a perfect comparison. These rock! As far as corn muffins go these put all others to shame. Lol @ the Clueless reference – I can’t hear Monet without thinking of that quote haha. I have everything to make these right now except for pistachios. This needs to change immediately, they look so good! I adore clueless. I love all of Cher’s soundbites! And I could devore these muffins in two bites. I’ve just spent the last 10 minutes reading Clueless quotes because of your post 🙂 those look great – Cher would so choose something pistachio-coloured. 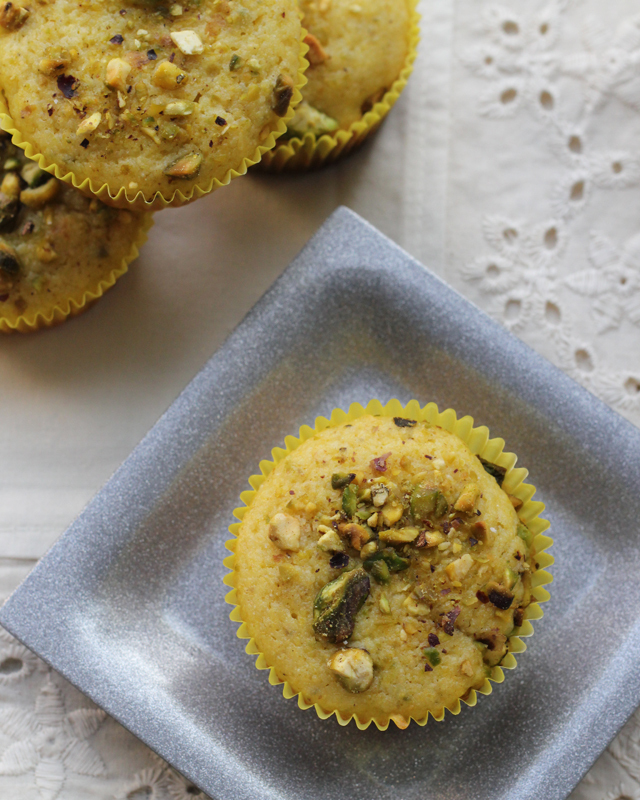 I love your addition of lemon, greek yogurt and ground up pistachios to these muffins! I haven’t been much a fan of corn meal muffins, or bread, but this recipe definitely makes cornmeal appealing! yum! Oh holy cow, you’re killing me with these. Lemon poppyseed is one of my favourite muffin flavours, cornbread muffins are a close second, and I love all things pistachio. You’ve managed to combine all three! Oh wow! These muffins look incredible 🙂 I love the flavors in this recipe! Hi Joanne. This recipe looks and sounds delicious. I have pinned so many of your recipes. Thanks so much.